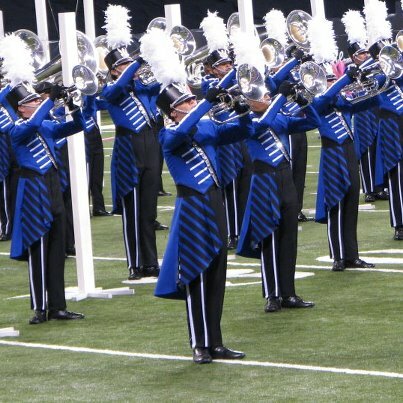 Everyone knows the Blue Devils are often the class of the field in design, and their uniforms are no exception. What are your favorite looks since moving on from the traditional jackets in 1994? 1994-2014: An absolute classic which broke from tradition and perfectly exemplifies the dominant "Star Trek: The Next Generation" style of 90s/2000s uniforms. Worn for 4 championship seasons. 2004-2005: An underappreciated look, IMO. Classy jacket but not too different from the old ones. 2006-2008: Introduction of asymmetrical white stripes. 2009: The beginning of increasingly flamboyant designs with the now-standard half-skirt-cape in a strikingly contrasting color. Also, big white plumes. 2010-2011: A lot of stripes. 2012: Colorful undershirts for this innovative and strange show. Jackets applied later were similar to 2010-2011. 2013: Added feathers are classy but slightly whimsical. Less busy jackets. 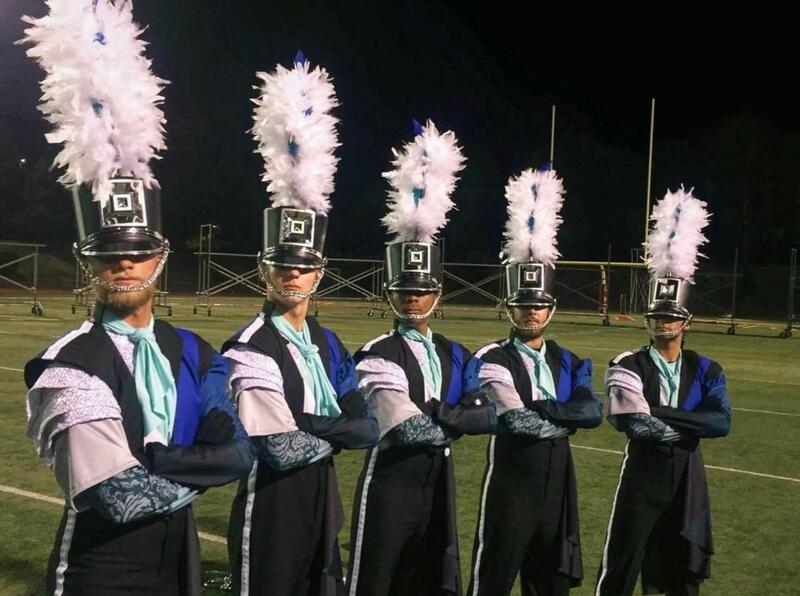 Split-color uniforms and the new shiny-square shakos. 2015: A lot of color for "INK"
2016: Also different shades, can't see the half-skirt-cape's blue to black fade. Blue feather. Interesting cascading layers. conducting while wearing only a jock strap, very short books. Out of the choices given, 1994. But, my personal favorite was their 1992 edition. 2004-2005. 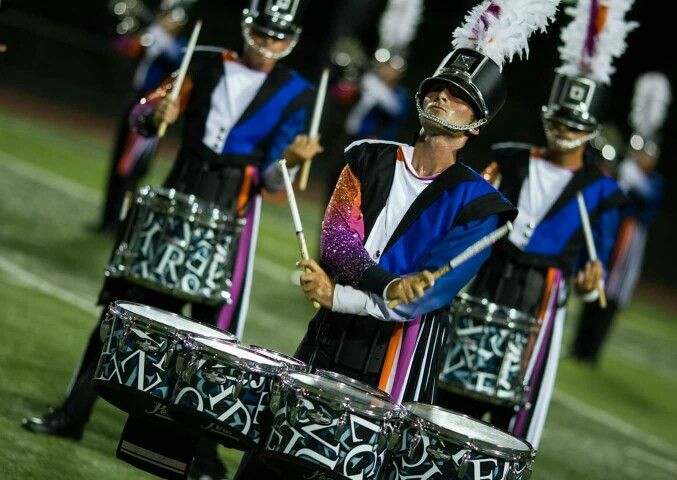 The classiest uniform I've yet to see in drum corps. 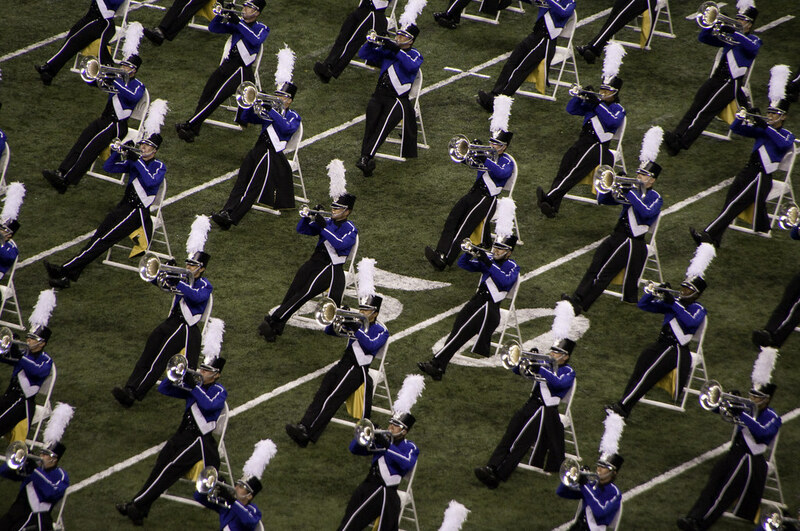 Your Favorite Corps:All corps! I love and appreciate all corps. Each and every one has something special to offer. They've all been great, really. I'm not going to lie though...and it may be because of my age (I aged out 10 years ago), but I do not like their pre-1994 uniforms. 2010 didn't have the stripes, that was just 2011 to fit the Bacharach theme with the piano key motif. The 1994 is just wonderful. An instant classic that kept the feel of the previous one, but made it modern. Never a fan of the 2004-05. The way it was cut made everyone look very thick in the middle. Of the current uniform, I think the 2016 is the best version with 2014 second. This year, the use of the pale aqua is inspired. It looks fantastic on the field and with the blue, and the ascot fixes the sloppy neckline problem they had the previous two seasons. 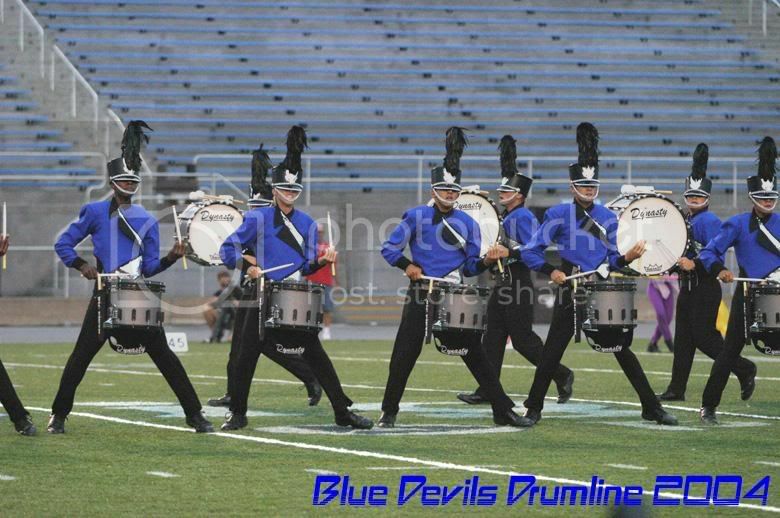 The split look works very well because they can theme part of it (elaborately this year) but still allow the whole thing to give off a bit of a classic Blue Devils vibe. 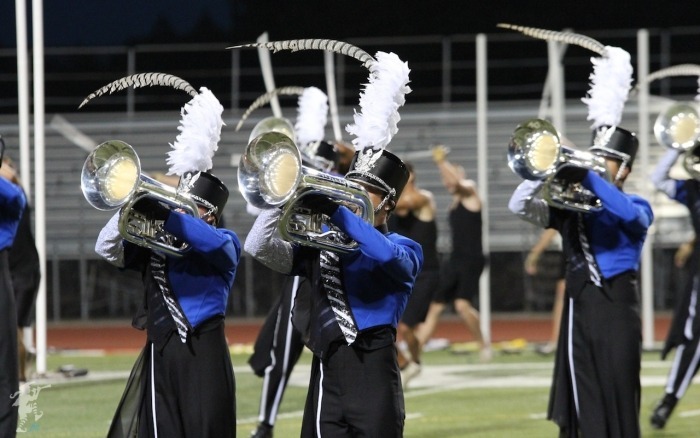 Who knows what they will do next, but I hope they continue they direction they are in, rather than go full-Bluecoats body suit.